Described as "the most influential man in British television"
Peter has devised some of the most important entertainment shows in recent television history. He founded his own production company, Bazal, in the 1980s, making the most of the experience he built up at the BBC as a producer. In 2005 he became Chairman of Endemol UK and Creative Director of Endemol Group worldwide. He was responsible for running shows including Big Brother and Deal or No Deal which were hits around the world, and led Endemol’s digital entertainment strategy. As a result of his impact on the development of reality television and lifestyle TV programmes, The Independent argued that he may be “the most influential man in British television.” He has been awarded fellowships by BAFTA and the Royal Television Society. Peter serves on the Boards of market researcher YouGov and the Advisory Board of BBH. He is Chairman of ITV and President of The Royal Television Society. He was also a former board member of Channel 4, a non-executive Director of the UK’s Department for Culture, Media & Sport, and Chair of English National Opera. He has raised substantial funds for arts and media organisations, notably as Chair of The Crossness Engines Trust and as Deputy Chair of The National Film and Television School. He has co-written four books – including “The Food Revolution” and “You Don’t Have to Diet”. More recently he wrote “Billion Dollar Game” about the business of TV formats, and published a biography of Egon Ronay. He also writes a regular food column for the Financial Times. Peter was knighted in the 2012 New Year Honours for services to broadcasting. He is the great-great-grandson of the Victorian civil engineer Sir Joseph Bazalgette, who created (in response to the Great Stink of 1858) the revolutionary sewers for central London and laid out much of the modern city, including the embankments and three bridges. 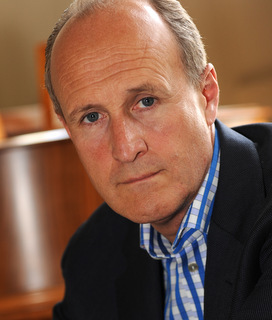 Peter Bazalgette is writing “The Empathy Instinct: How to Create a More Civil Society” for the publisher John Murrays, to be published in January 2017. "A fiercely intelligent and talented businessman, Sir Peter speaks regularly on all aspects of media, the digital revolution and managing creativity. 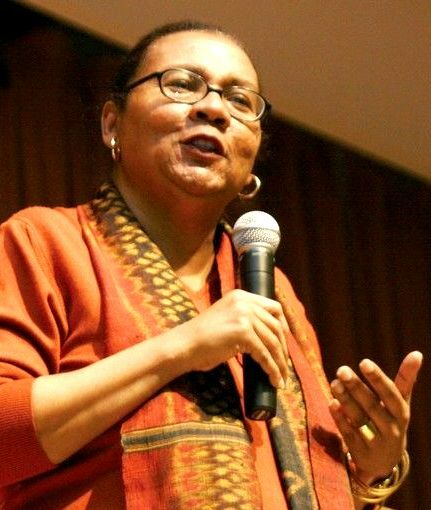 He is also well placed to discuss the opportunities technology is presenting to the arts and cultural sector, and the importance of diversity in the workplace." 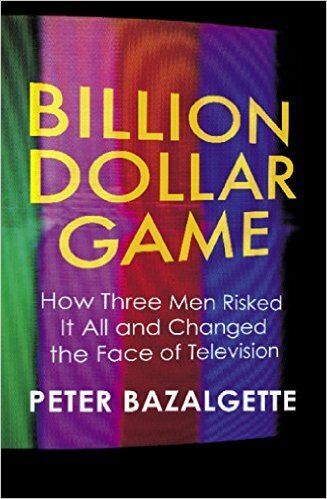 “Billion Dollar Game” is the compelling story of how Paul Smith, Charlie Parsons and, above all, John de Mol defied overwhelming odds to take the industry by storm, make personal fortunes and transform the map of popular culture. Peter Bazalgette, the man who brought Big Brother to the UK, charts the astonishing rise of reality TV from its humble beginnings on the Internet to the billion-dollar industry it is today.